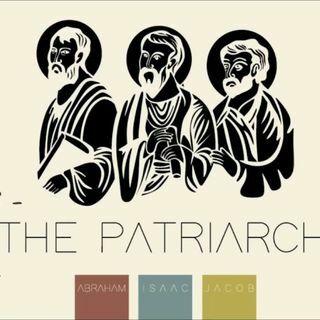 As we continue our study of the Third Day of Creation, when we look at how God brought about this dry ground of salvation through the lives of the Patriarchs - Abraham, Isaac and Jacob - we learn some very important lessons about our Christian faith. First, God’s gift of eternal life is unconditional, meaning we cannot do anything to earn our salvation. It only requires faith on our part. Like Abraham, we are called to believe in God alone ... See More and in His word for us in order for God to credit or give us His righteousness to cover our sinfulness. What this means also is that, as Christians, we are children of promise like Isaac. Just as God promised Abraham a son and the blessing of descendants as numerous as the stars in the sky, God promised us His very own Son Jesus and the blessing of becoming Abraham’s spiritual descendants and the very children of God. Now, we do not become Christians by being born into Christian families. Neither do we become Christians by trying to earn God’s favour through our religious works. We become God’s children of promise only through faith in Christ, when we enter into a personal saving relationship with Him. Finally, we need to wait on God and not run ahead of Him. This is the main lesson behind Jacob’s life. Although he was already assured of God’s promises (Gen 25:23, Rom 9:10-13), Jacob did not wait for God’s Kairos but rushed ahead to try to steal the blessing. This led to a life on the run filled with lies and deception. Instead, we are to be like Joseph, who understood God’s Kairos and therefore knew what he should do. Let me elaborate - Time is God’s gift to us. Our time thus belongs to Him, and the best time for us is always His Kairos. In His wisdom and love, God gave His Creation Seven Days (7,000 years) to make everything good and whole (Shalom - perfect/complete/at rest). When Adam and Eve sinned, God in His mercy sent them out of Eden away from the Tree of Life so that they would not eat from this tree and end up spending eternity in darkness, doom and death. In His time, God gave us a second chance through one man (Noah) and called another (Abraham) through whom we could be saved, promising him a son. But Abraham could not wait; he rushed ahead in his own time. Yet God is faithful. In His time, He fulfilled His promise to give Abraham a son (Isaac). In His time, Isaac had twins, and God chose the younger (Jacob). But Jacob could not wait; he rushed ahead in his own time. Yet God is faithful. In His time, He wrestled Jacob into submission and through his dysfunctional family of twelve sons, brought forth the nation - Israel. In His time, He revealed His plans to Jacob’s favourite son (Joseph) in a dream, which led to the beginning of his living nightmare. Joseph was sold as a slave into Egypt and later imprisoned on false charges. But Joseph knew God and trusted in His faithfulness. He did not rush ahead in his own time but waited on God’s time. So, in God’s time, Joseph was appointed to the highest position in Egypt after Pharaoh. In His time, God brought to pass His plans as revealed in Joseph’s dreams, and brought Joseph face-to-face with his wicked brothers. But Joseph did not harbour anger and bitterness towards them. He knew God and recognised His time and purpose; it was God who sent him ahead into Egypt to preserve a remnant by a great deliverance. In His time, God used one man, Joseph - who could understand the signs of the times and knew what he had to do - as part of His larger salvation plan for all of us. Today, do we acknowledge that our time belongs to God? Do we know Him well enough and trust in His faithfulness to wait on His Kairos and not rush ahead in our own time? Do we know His heart and His purpose so that we can recognise the signs of the times that we live in today and know what we should do in such a time as this?